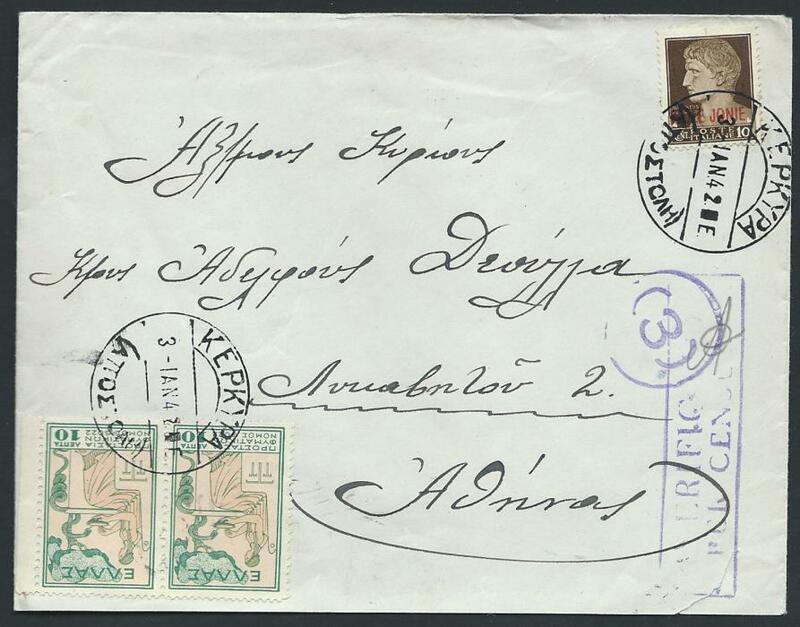 1883 entire to Trieste franked 30 lepta deep ultramarine tied by "ZAKYNTHOS/(ZANTE)" date stamp. 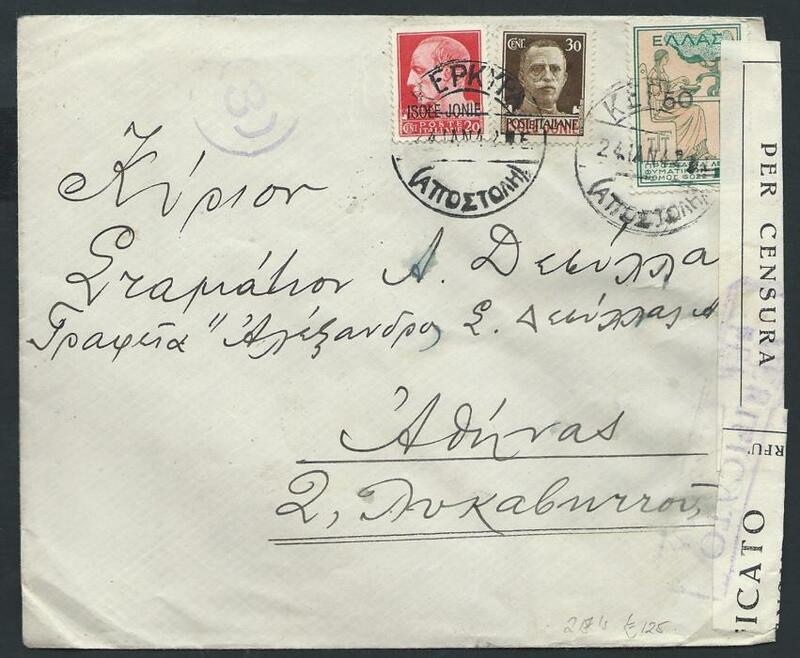 1913 envelope to London franked Bulgarian pair & strip of three 5st tied by bilingual 'SKETCHA' date stamp. 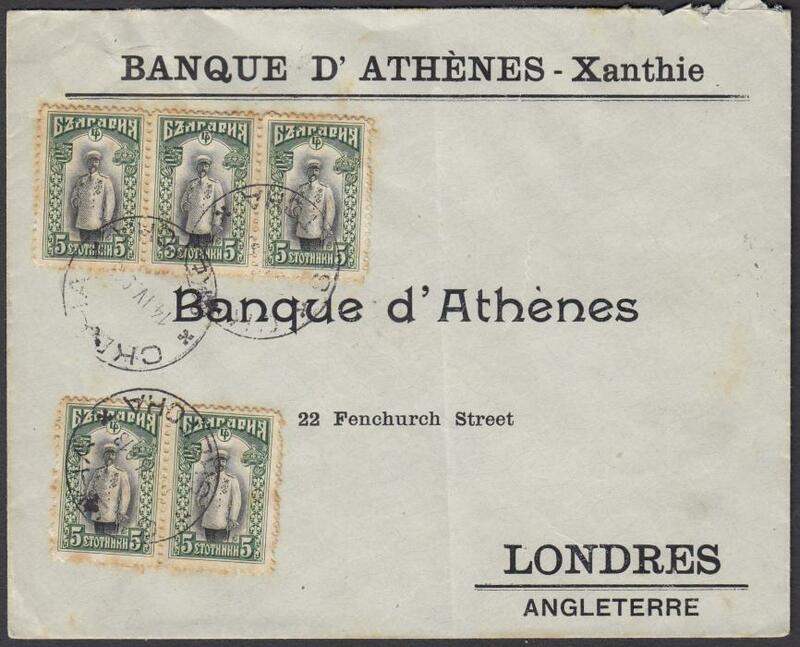 1913 registered envelope to London franked Bulgarian 25st pair tied by bilingual 'SKETCHA' date stamp. 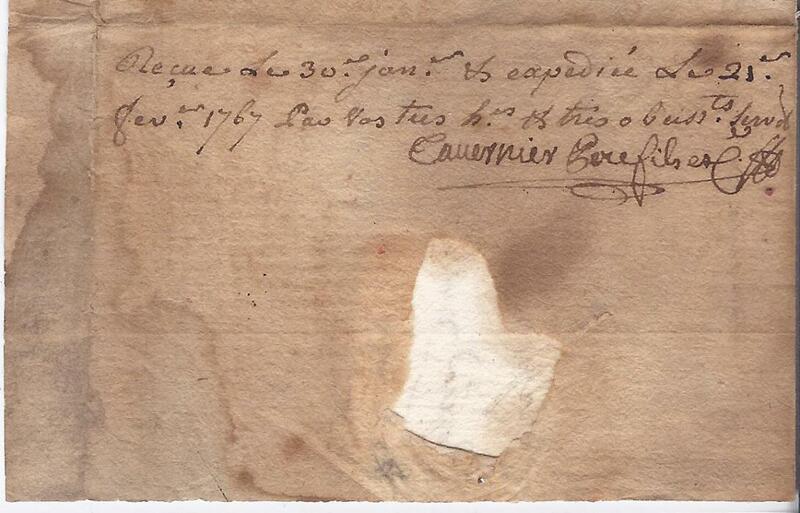 Obverse also bears bilingual boxed 'Registered' censor cachet. 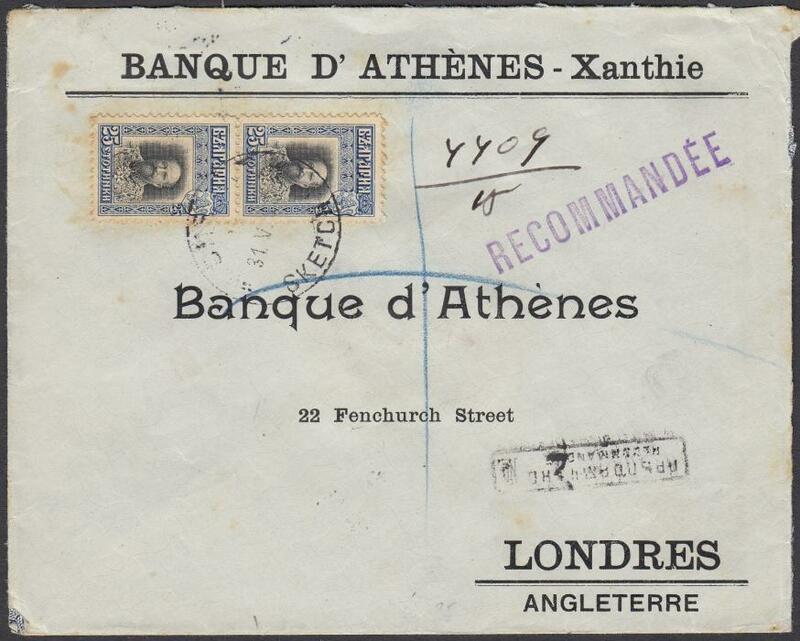 1942 two censored cover sent from Corfu to Athens both franked with Italian Occupation for Ionian Islands stamps in combination with Greek 1934 Charity stamps. 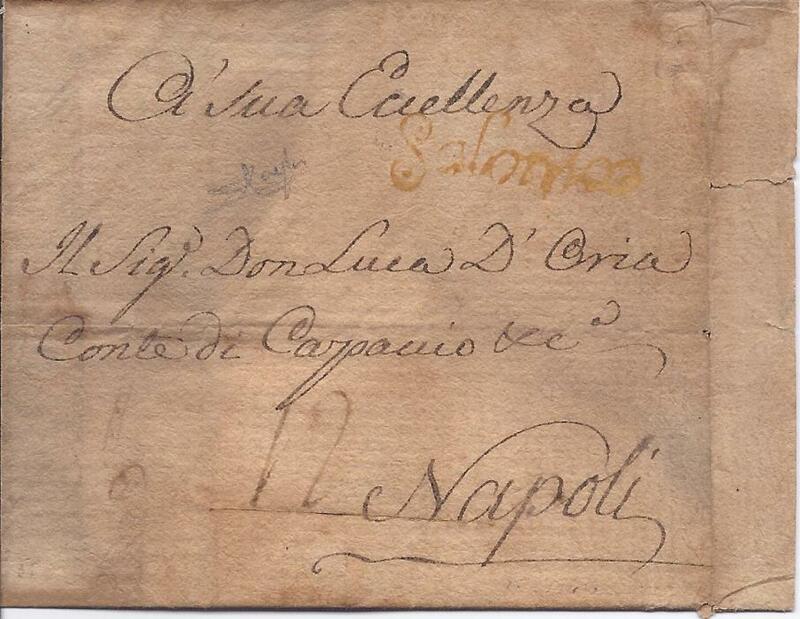 Censor cachets and labels. 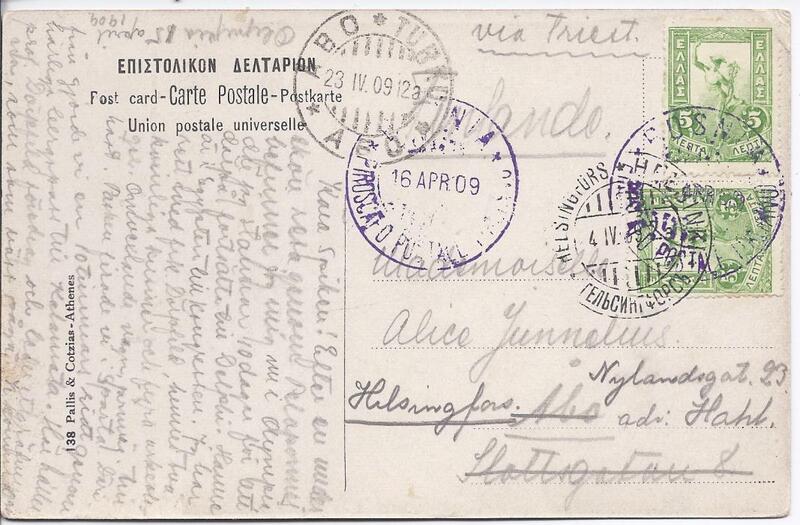 Greece 1911 75L. 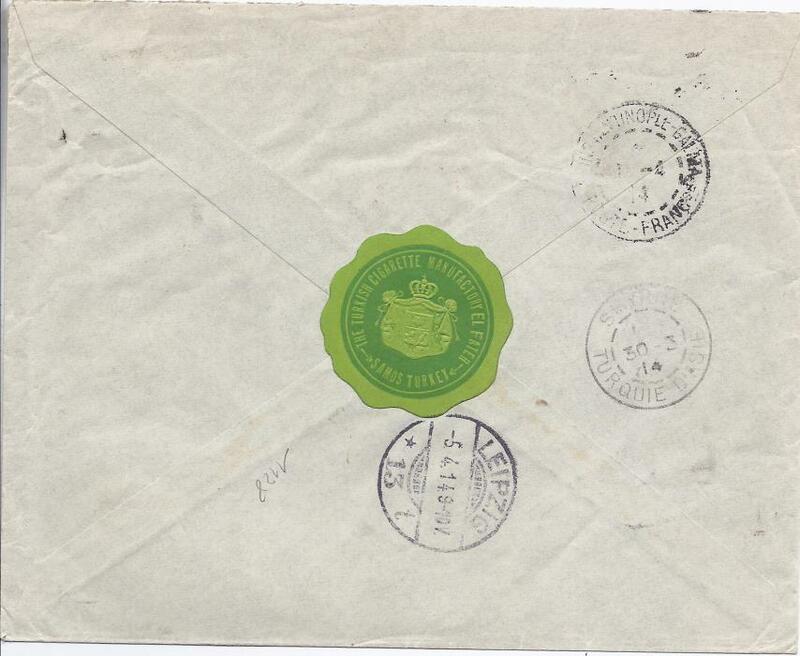 postal stationery parcel card to Switzerland additionally franked with six 25L. Hermes tied Pireaus cds; very fine and attractive. 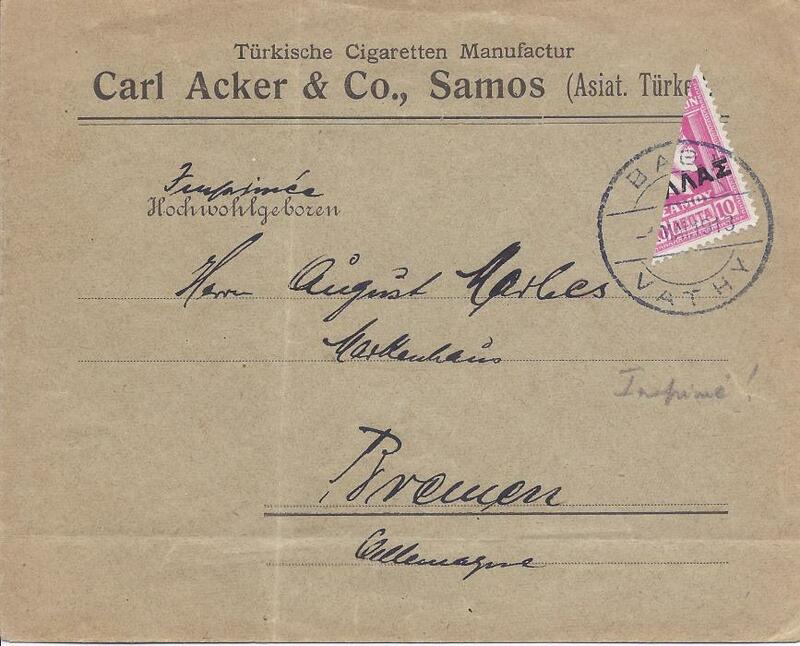 Samos 1914 registered cover to leipzig, Germany, franked 50 lepta tied by Vathy date stamp. 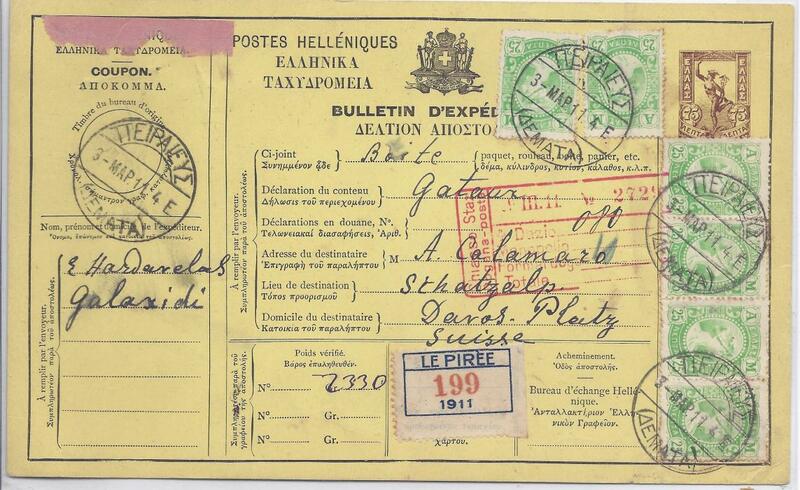 On reverse Smyrne Turqyie D'Asie and Constantinople-Galata * Poste Franc.se French transit cds. 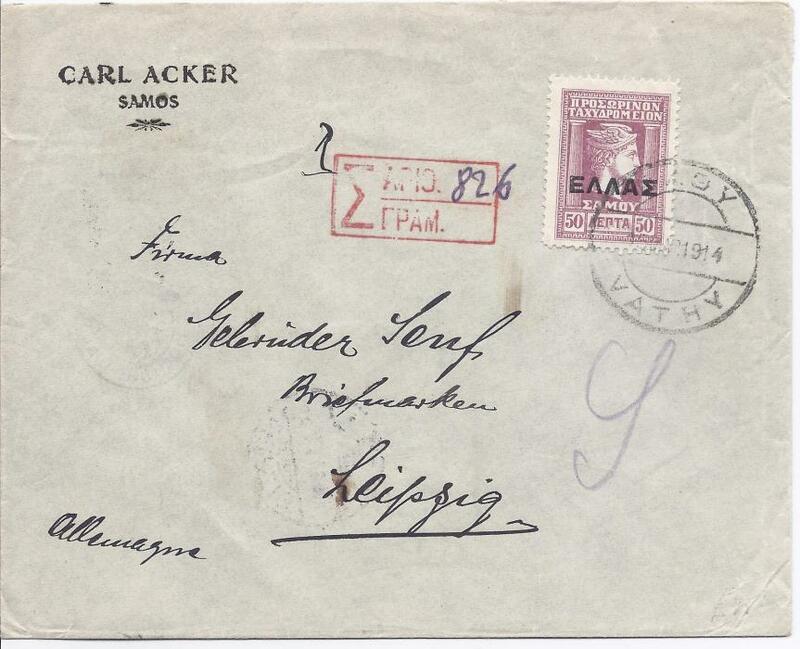 Samos 1918 cover to Bremen, franked bisected 10 lepta to make 5l. 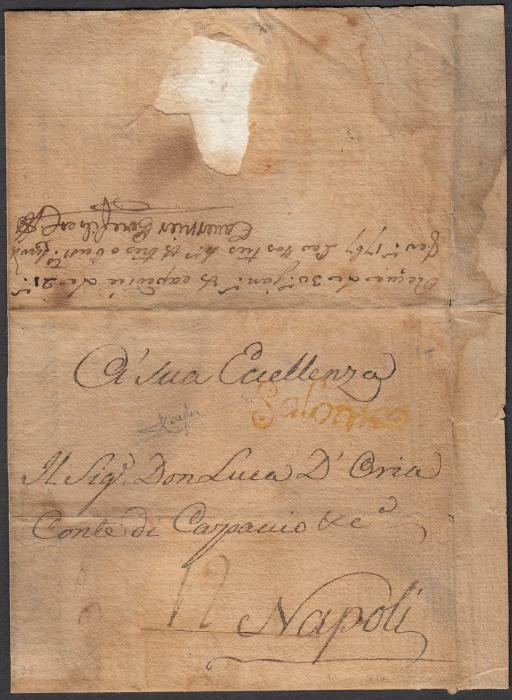 printed paper rate and tied Vathy bilingual date stamp.